What does ESN stand for? ESN was established in September of 2016. 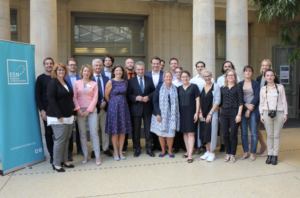 We have since grown from a handful of national associations to covering almost all of Europe, at 24 organizations in our network, plus countless partners with whom we work to complement internal expertise. 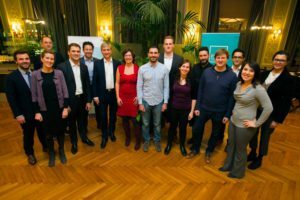 We help startups to scale, represent them to European policymakers, and connect them to corporates and investors, among other activities. 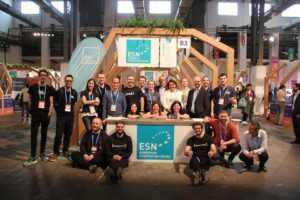 ESN’s long-term vision is to ensure a unified voice for, and thus unified action on behalf of, European startups and scaleups. 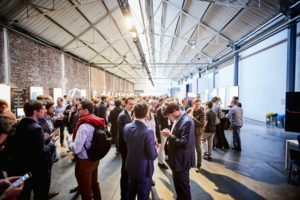 We provide space for national startup associations to share best practices so that they can ensure other startup ecosystems don’t repeat their mistakes and vice versa. We endorse a Digital Single Market and tangible, necessary steps taken toward such ambition. We stay on top of key issues like regulation on advanced technologies (AI, blockchain, etc.). We take concrete action to ensure that startups and scaleups have paths to scale; access to funding, opportunities to share best practices, and the right connections with corporations looking to innovate and investors searching to expand their portfolios, among other activities. We help our members help their startups at national and local levels. We help our policymakers do so at a legislative level. We’re here at the European one.